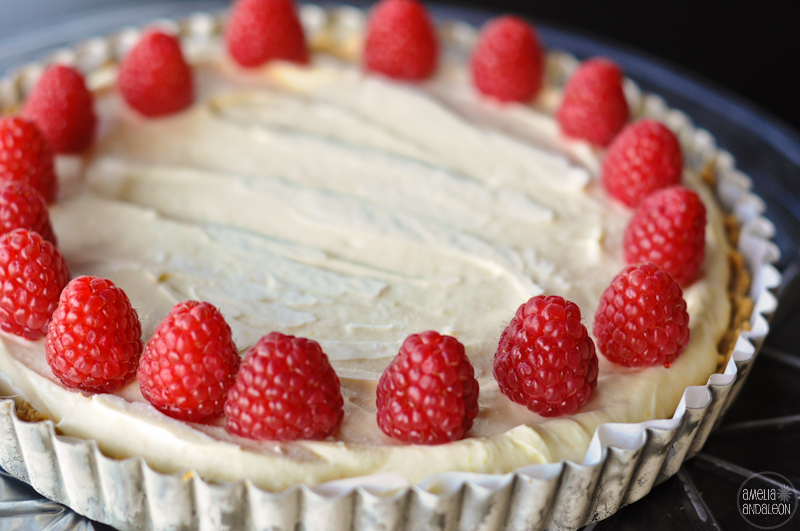 I’ve posted pics of this tart before but, here’s the link again to this yummy gluten-free recipe. I make this a lot! I made the lemon curd and crust the night before. The crust recipe made enough for one 9 inch tart pan and six 5 1/2″ oval creme brulee dishes so I modified the recipe to stretch out the filling since the lemon curd alone wasn’t enough to fill my tart AND tartlets. I made the whipped cream ( a pint of heavy whipping cream, 1/2 cup powdered sugar and 1/4 tsp of vanilla extract), whipped in 8 oz. of softened cream cheese, then once smooth I whipped in the lemon curd. This entry was posted in 365 Project, bokeh, dessert, Food, food, gluten-free, learning basic photography skills, Nikon D5000 Tips & Techniques, Photography, photography tips and tagged 365 project, food, food photography, gluten free lemon tart with raspberries, gluten free recipe, gluten-free dessert, gluten-free lemon tart, nikon d5000, nikon d5000 photography tips, Photography, straight out of the camera.